My thesis focuses on the figure of the reader as portrayed in nineteenth century literature and the wider social, cultural, and political implications of these representations and their place in time. Through this research I am able to combine my passions for Victorian literature, literary theory, and close reading. I am fascinated by the act of reading - how and why we read, the physical and emotional experience of reading, and why reading has the potential to be such an inflammatory act. My research addresses these broader questions, locating them within the complex, and often unforgiving, social structure of the Victorian period. My thesis is split into two sections: The Female Reader, and The Child Reader. Each section focuses on close readings from popular 19th century texts that feature a figure taking part in the act of reading. This representation of the reader is then contextualised within a greater framework of historical research and contemporary criticism, as well as a range of literary theory - including phenomenological, deconstructive, and psychoanalytical approaches to the texts. Through this I hope to show that a broader social commentary constantly presides over the loaded figure of the reader, and that this image is one of enduring importance and power. In the first section of this thesis I explore the place of the female reader in the 19th century. I engage in the debate surrounding the ‘Angel in the House’ and the domestic sphere, attempting to situate the female reader within this rigid social structure. 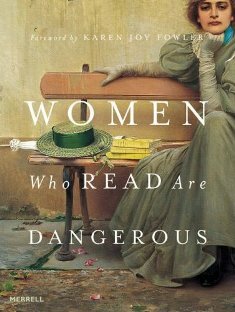 I argue that writers such as Sarah Stickney Ellis and Ruskin use the figure of the woman reader to expound a theory of conservative feminism grounded in a language of domestic ideology. I also explore Victorian metaphors of reading and eating, and their contexts, including research on food adulteration, the Victorian library and the Sensation novel. This section focuses on acts of consumption, and the woman reader as consumer, arguing that this role afforded women a source of power and influence that reverberates beyond their own sphere. The final part of this section provides a number of ‘case studies’, each exploring a different representation of the female reader. I focus on gendered reading and the complicated gender identification of the reader as it is explored in both Thomas Hardy’s 'An Imaginative Woman' and George Eliot’s The Mill on the Floss. I also interrogate the relationship between reading and domesticity in Dickens’ Our Mutual Friend, and Braddon’s The Doctor’s Wife. The second section addresses the role of the child reader during the 19th century. I will seek to link this section with the woman reader by exploring both parental responsibilities of censorship, and the economic impact of the child consumer, as well as the shared domestic space in which these acts of reading take place. I will be looking at texts by Charlotte Yonge and Mrs Molesworth as a way in to this relationship between the child reader and domesticity. A close reading of several sections of Alice in Wonderland will explore the didactic nature of children’s literature, as well as confronting the complicated issue of ‘growing up’ often, I will argue, negotiated through the act of reading. A close reading from Frances Hodgson- Burnett’s Sara Crewe or What Happened at Miss Minchin’s (the first incarnation of A Little Princess) will explore the imaginative power of reading in childhood and her conviction that “everything is a story - everything in this world” will lead into an exploration of the child storyteller, with particular reference to Dickens’ David Copperfield who ingratiates himself with his fellow boarding school students by taking up a similar role. As in Sara Crewe, Dickens establishes reading as an escape from a world in which a child is being mistreated and offers guidance, in which a way of living- learnt from books- rewards the followers of certain rules. Alongside David Copperfield I will also explore representations of reading in Jane Eyre, and the interesting depiction of the child reader within the adult text. I will also be addressing the role of imagination and imaginative play - with specific reference to the work of Edith Nesbit - and their links to reading and a wider cultural desire to change definitions of childhood.